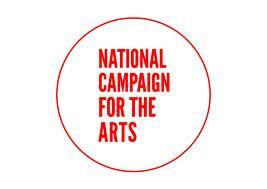 The arts community is mobilising. Once again the driving force is the National Campaign for the Arts group who are getting to grips with the masses, getting to grips with those seeking our votes in the General Election. The venues have decided, the candidates are bracing themselves and all that is needed is the support and commitment of as many arts workers and professionals as possible!! In Dublin the arts spokespersons from all five political parties will attend a meeting to outline their respective arts policies and answer your questions. In the other city venues prospective T.D.’s from their respective constituencies will attend. Does your party have a policy for the arts? What do you believe are important values for a healthy and flourishing society? What values would you bring to Government that would make a difference? Does your party recognize the vital and valuable contribution the arts and creative industries could make to our national economic and social recovery? Will your party invest in the arts? The lead-up to February 25th polling day will be a vital period for ensuring the voice of the Arts community is heard and recognised. Be informed and be heard!